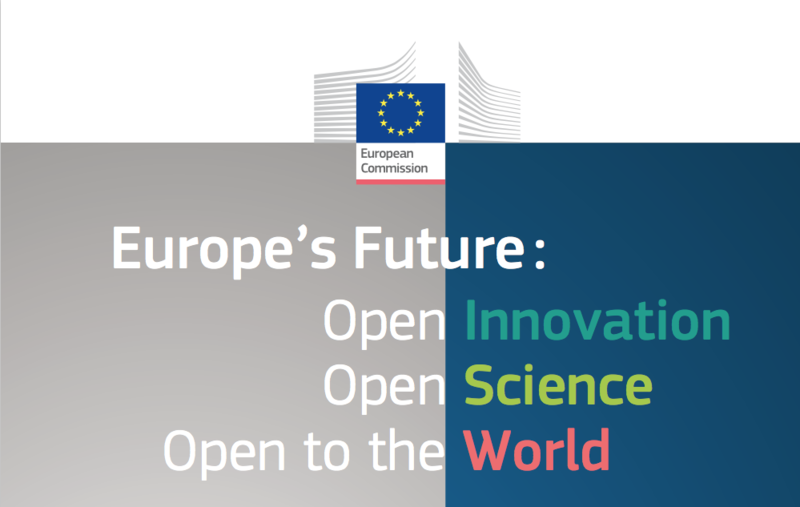 The high level expert group of Research, Innovation and Science Policy Experts (RISE) on 15th May presented its report 'Europe’s future: Open Innovation, Open Science, Open to the World' to Carlos Moedas, Commissioner for Research, Science and Innovation. This 228 pages book has been written following the suggestion from Commissioner Carlos Moedas to the Research, Innovation and Science Expert group (RISE), a group of some 30 experts from different nationalities, with different backgrounds and a wide spectrum of fields of expertise, to reflect on the challenges European research and innovation policy has been, and will continue to be confronted with, in an out of-the-box fashion: suggesting and proposing where needed concrete proposals for policy action. “[First,] our actions must always reflect European values of openness and diversity, if we are serious about using European research and innovation for something greater than our own gain. [And second,] we have to embrace change – try new things and be willing to take risks – if we want European research and innovation to remain at the forefront of modernity and economic growth”: said Carlos Moedas.